M&S are celebrating a Summer of flavour. They will be offering up tastes you know and love but with a twists and some new food discoveries. So whether you’re having a picnic in the park or a barbecue in the back garden they have got some lovely ideas for creating sunny meals and snacks. 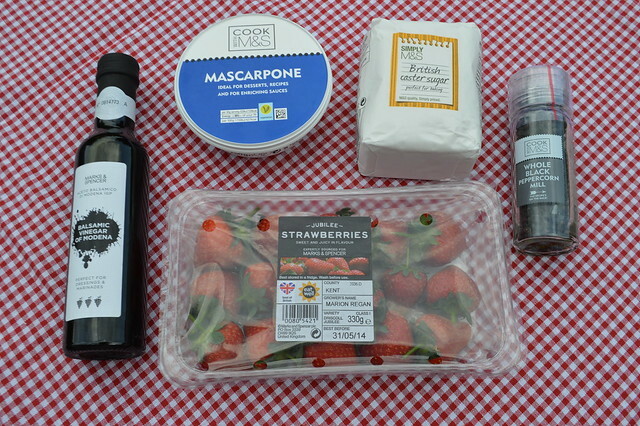 Balsamic vinegar and black pepper intensify the flavor of strawberries and bring out their sweetness, I was a little sceptical about this combination at first but I'm a total convert. 1. 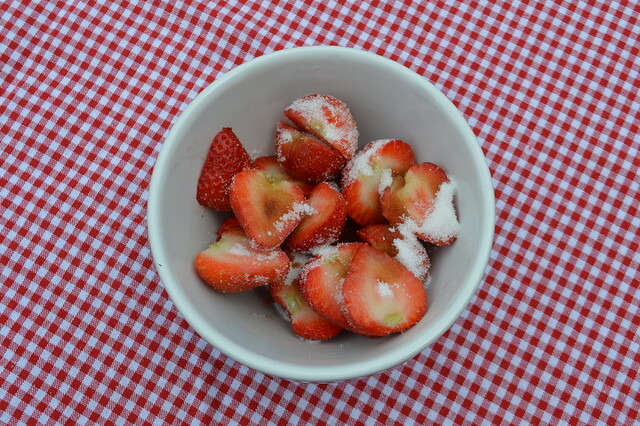 Strawberries need to be halved and then sprinkled with caster sugar and balsamic and allowed to steep in own juices for 30 minutes or so. 2. When all nice and juicy – sugar dissolved, add a grinding of coarse black pepper over the berries and then an additional drizzle using the Balsamic glaze. 3. Serve with reduced fat crème fraich, vanilla ice cream or marscapone. These berries are great with both sweet and savory dishes. Try them in a salad paired with rocket, goats cheese or maybe even avocado. 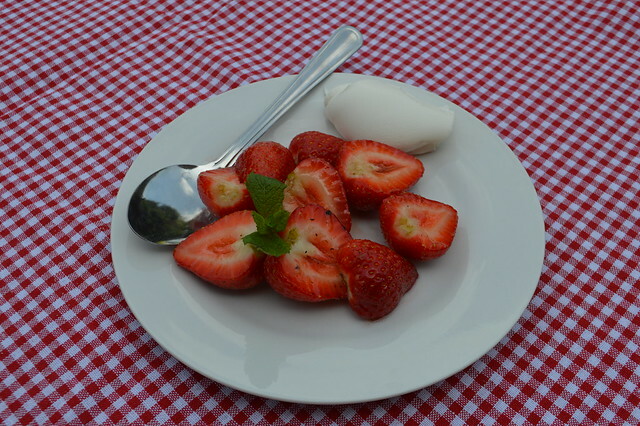 Even if we have a summer filled with rain you can still enjoy some delicious food like this tasty strawberry dish. 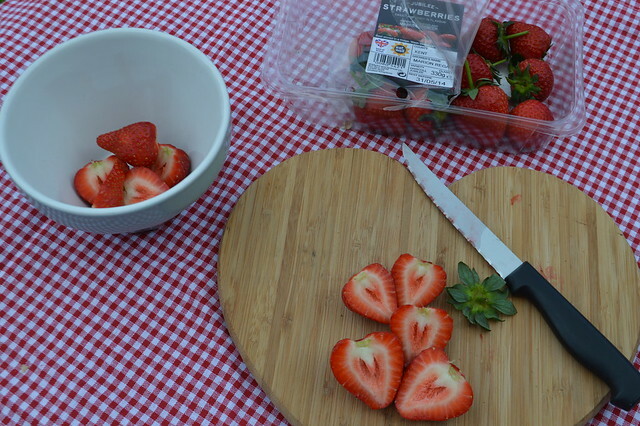 I love strawberries in salads and a sprinkle of herbs on the top is great in salads.